The evening’s panel discussion will be followed by a networking cocktail hour with drinks and light bites provided by our partners. Come, learn, meet, and network with other inspiring, hardworking, and driven women entrepreneurs. All attendees will receive 10% off any Steadfast Supply purchase during the event. Originally from Panama and a world-traveled Army brat, Leah Beilhart's life and photography covers 20 countries and 200,000+ miles across the United States. She's been published and recognized as a change-maker and social impact innovator in Washington, D.C. by Mayor Muriel Bowser. With her degrees in Art Therapy and New Media Journalism, her passions revolve around breaking through the surface layer. Her time is partly spent curating events for her organization, Behold.Her, a growing community that focuses on developing self worth through a series of stigmatized conversations, portraiture, and interviews. When she’s not doing photography, she's a Producer at Emic Films. She's a little rough around the edges, but her candidness and transparency is what makes her work and conversations provocative and life-changing. 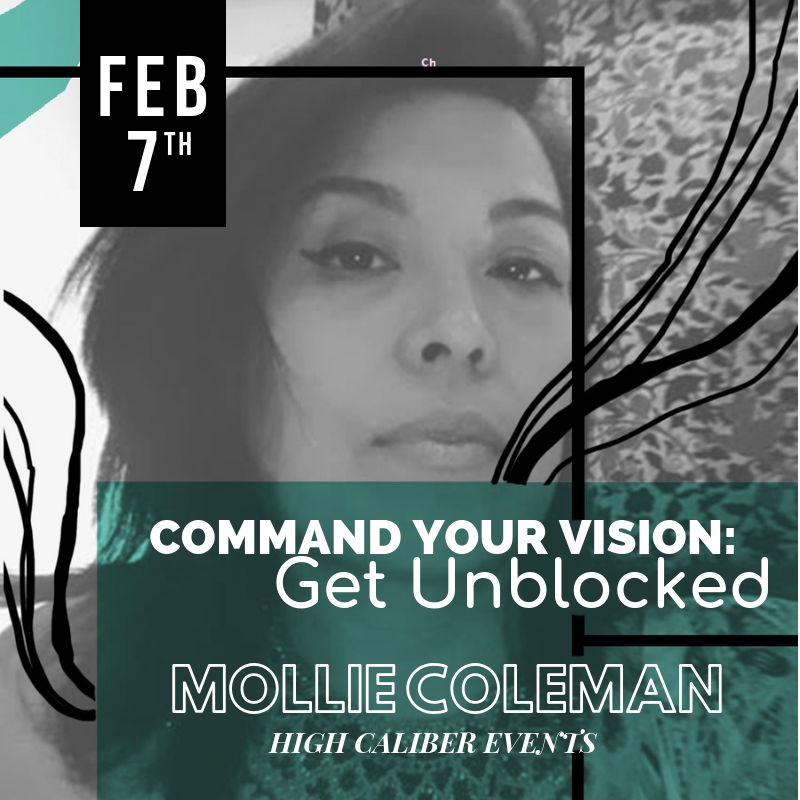 Mollie Q. Coleman // Moderator is a growth & brand strategist, socially driven entrepreneur, philanthropist, and experiential marketing professional with over 10+ years in her industry. She is the Founder and Chief Visionary Officer of High Caliber Events, VP of Marketing of Noirbnb.com, and Chief Brand Officer of BYOB Live. Her background is diverse having worked in the corporate world for a real estate law firm, as a sales director for a Fortune 100 brand, and eventually landing into her passion as a full stack marketer working in every aspect of marketing. Above all, Mollie says she’s a humanitarian first. Her work and passion converges in the pursuit of her goals which is to build better communities by connecting people through unique experiences that are meaningful. That make you feel. Mollie curates experiences for the soul and from the heart. Nothing less. ABOUT FEMME FATALE: FFDC is the District's womyn-only collective of local womyn creatives & entrepreneurs. Their goal is to foster and sustain our local community of womyn who support one another's creative & business endeavors. They build meaningful friendships & business relationships, and appreciate one another's gifts.